At Flight-Report.com, we are always looking for ways to improve the site while bringing you new and useful features. As frequent flyers, over the years, many members of Flight-Report.com have crossed paths at airports throughout the world. 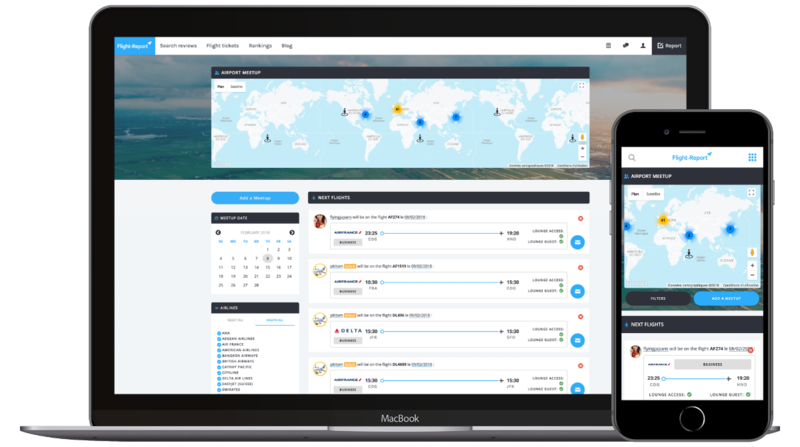 Now, with our new Airport Meetup feature, Flight-Reporters have the ability to make their future travel plans known if they’d like to meet up with other members who may have similar travel plans. Members with frequent flyer status may even elect to guest other members into airport lounges. Anyone who wishes to take part simply needs to complete the form to post their travel plans on the dedicated shared calendar. To access Airport Meetup, click on the My Account icon at the top of the page. Note that a member must have published at least two reports to have access to this feature. 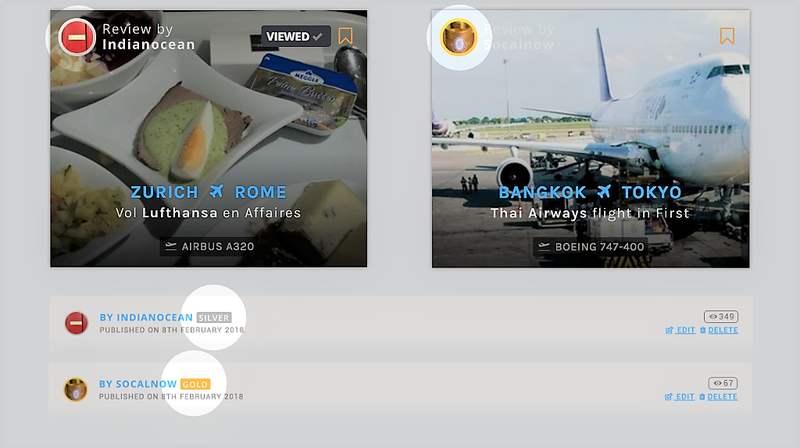 2018 will be a big year for Social Networking on Flight-Report.com as other tools will be developed from the Airport Meetup functionality…so stay tuned. Some of you may have noticed that the profile pictures of some Flight-Report members are now encircled with Silver or Gold. If you are one of those members, congratulations, you have reached a Frequent Poster Silver or Gold Status level! Like frequent flyer status, Flight-Report member status is earned during one calendar year. With these new statuses, we aim to recognize those who contribute the most to the Flight-Report.com community. Out of thousands of registered members, 19 posted enough reports in 2017 to achieve Gold status, while 51 reached Silver—truly an elite group. Silver and Gold status members now have a dedicated section on the home page. Want to be a part of the Flight-Report.com elite? Get posting and Happy flying to all! Flight-Report Launch New Flight Comparison Tool!